According to a new research published in the journal Hypertension, spirulina, made from algae, could help to reduce blood pressure. According to a report in the Daily Mail, the superfood, described as the “most complete food source in the world”, contains a specific protein which was found to relax arteries in the laboratory and in animals. Spirulina, scientifically called arthrospira platensis, is technically a type of bacteria. Researchers at the Mediterranean Neurological Institute in Pozzilli, Italy studied certain molecules from the spirulina to test its health benefits. As part of the research, they simulated the effects of digesting spirulina on isolated arteries and animals in the lab. It was discovered that a molecule in spirulina, called SP6, lowered the blood pressure of animals. When put into the body SP6 is thought to stimulate a process in the body which releases nitric oxide. The spirulina triggered relaxation of the artery, a process called vasodilatory action, which can help lower blood pressure by increasing the amount of blood pumped in one motion. This is an effect caused by nitric oxide, a chemical known for maintaining healthy blood pressure, the researchers reported. Nt just for lowering blood pressure, spirulina is also very effective when it comes to dealing with conditions including weight loss, hay fever, PMS and diabetes. Spirulina contains protein, iron, potassium, magnesium, and many other minerals. 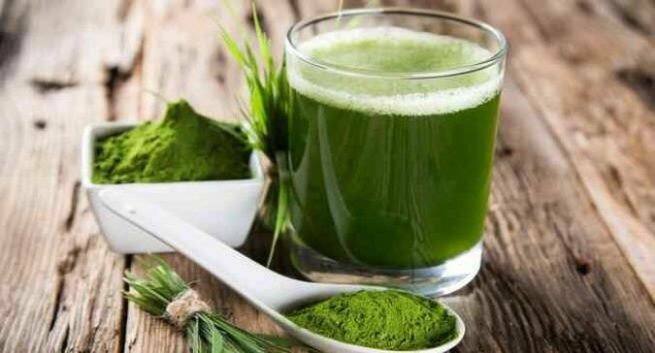 Spirulina is used in supplements and smoothies. You must try these healthy spirulina recipes. Certain fruits, vegetables, nuts and seeds are very effective in lowering blood pressure. For instance, blueberries which are full of flavonoids that could help prevent hypertension and lower blood pressure levels. Nitric oxide in beetroots has been found to open up the blood vessels and lower blood pressure. Flax seeds with alpha-linolenic acid, lignans, peptides and fibre are known to lower blood pressure. Polyphenols (especially flavanols) in chocolate helps with the formation of nitric oxide that helps keep blood pressure in check. Pistachios are also effective in dealing with hypertension. A research has revealed that one or two servings of pistachios daily for four weeks s lowers systolic blood pressure. It was thought that pistachio nuts may reduce constriction of peripheral blood vessels and thus have a positive effect on blood pressure.